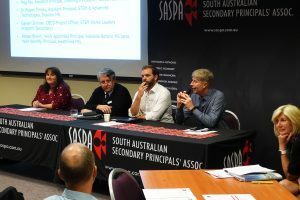 At the end of May, SASPA and DECD held a combined, full-day conference on STEM in SACE. On the day there were presentations from 12 metropolitan secondary sites. 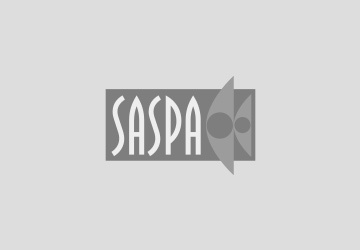 These presentations have been published on the SASPA website and are available here. There were also 2 keynote presentations. One by Neil McGoran, Chief Executive SACE Board on Capabilities Development Through SACE and the other by Kristin Alford, Director of the University of South Australia’s Museum of Discovery, on Inspiring teachers and engaging young adults in STEM outside formal learning at MOD. For more on the Uni SA Museum of Discovery see here and here. 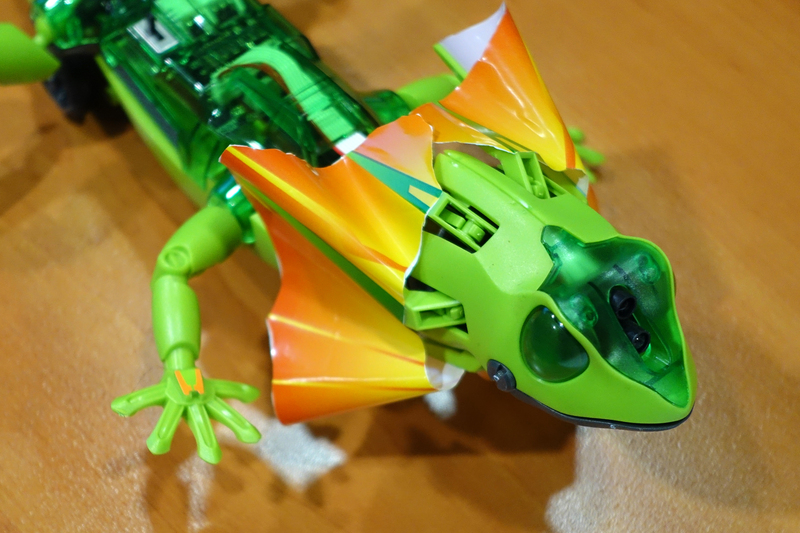 In the first part of this post I want to focus on common approaches to the teaching of STEM that were evident at the conference. One involved an integrated, project-based approach to STEM and the other was the focus on Maths. On the day, in both the individual presentations and the plenary session, the point was made repeatedly that STEM needed to be seen as a particular, and very powerful, pedagogy. The STEM approach, it was said, was capable of effecting a ‘pedagogical shift’ across the whole school. 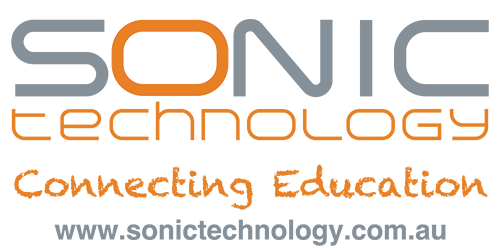 integrated curriculum or cross- or inter-disciplinary studies. For example, see the highly developed model at ASMS or the ‘one-off’ Aviation Studies – under the SACE ‘Scientific Studies’ framework – at Glenunga IHS. Le Fevre HS offers yet another striking example in naval engineering via the SACE platform of ‘Integrated Learning’. Also on the day, many of the schools drew attention to the background, whole-school initiatives that facilitate the STEM pedagogy. They highlighted the programs in positive education, growth mindsets and student voice that made it easier to promote STEM pedagogy. See, for example, Seaview HS. Often, they argued, such programs have the potential to improve the way students see the overall value of STEM and their participation and success in STEM subjects. For example, such programs can help students to turn round negative perceptions of their ability to succeed at Maths. For examples of how individual schools had developed a whole-of-school STEM plan see, in particular, Glenunga IHS and Henley HS. Overall, the schools asserted that STEM had promoted the opportunity for significant pedagogical improvement. They were keen to draw attention to the success in their individual schools. Science, Technologies, Engineering and Mathematics (STEM) and STEM education have become the focus of considerable political, industry and media commentary. Widespread concern about Australia’s performance in STEM disciplines and take-up of STEM careers has resulted in the development of the National School STEM Education Strategy (Education Council, 2015) that is to be implemented from 2016 – 2026. 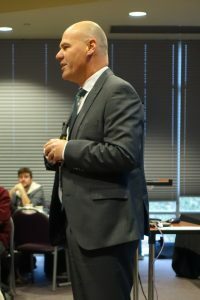 Essentially, 13 schools from across the country – including 2 from SA – Henley HS and Heathfield HS – were supported in the project … to explore potential connections between STEM disciplines in the Australian Curriculum by implementing an integrated, project-based approach to the teaching of STEM. 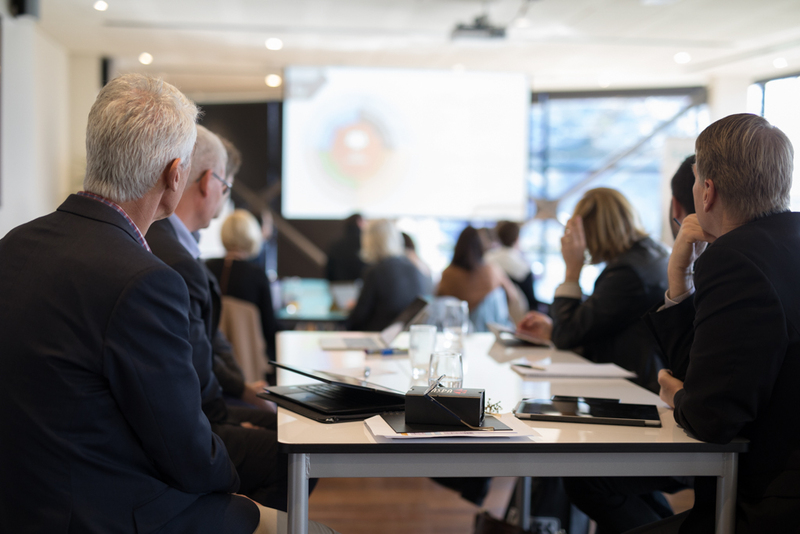 As outlined above, the positive outcomes raised in the ACARA report correspond to those identified by the schools at the SASPA – DECD May conference. However, the ACARA project did raise some concerns. For example, not all students responded positively to the pedagogy inherent in the integrated approach. They were more comfortable with or, at least, less threatened by more traditional pedagogy. Some students still find security in the more traditional – one teacher, one class, one classroom, one lesson, one subject, and even one textbook, approach. The report also noted that students found it difficult to transfer Maths skills to new areas and contexts. The reservations to do with how Maths fares in the integrated approach need to be seen in the context of the centrality that the National Strategy on STEM gives to Maths. Essentially, Maths is the key to extending student engagement with and success in STEM. STEM pathways from the middle school to the senior school require relevant levels of ‘mathematical literacy’ and success in the core – and specialist – Maths curriculum. Similarly, to the extent that students do not see the value of Maths or see it as ‘beyond’ them or simply fail to engage with it, all STEM pathways are compromised. The ACARA report suggests that a high priority needs to be attached to making sure Maths ‘works’ in any integrated approach. And beyond the specifics of the ‘integrated’ approach it is important to recognise that the overall STEM strategy depends fundamentally on Maths. Improving both engagement and success in Maths in the middle school is the precondition for increasing equivalent outcomes at the senior secondary level which, in turn, is the ultimate intention of the STEM strategy. Specifically in relation to this issue of improving Maths in the middle school as a prerequisite for growing STEM pathways, there were 2 school presentations on the day worth a closer look. One involved Craigmore HS and the other Blackwood HS . Craigmore recognised that for more engagement with and success in STEM at senior secondary, there had to be a corresponding improvement in Maths in the middle school. At the very least, more students in the middle school had to engage with and take the relevant Maths subjects and they had be to be successful in them. At the same time, for all students in middle school, overall levels of achievement in Maths had to improve and students’ understanding of the importance of Maths in their lives and their confidence in their ability to succeed at Maths had to be developed. Craigmore revised its middle school Maths, with a special focus on Yr 10. It shifted from a structure where there were mixed-ability classes in Yr 8-9 and a specially selected Maths Studies at Yr 10 to one where there are now mixed-ability classes through to the end of Yr 10 and an Advanced Maths offering – 1 or 2 semesters, preferably 2 – at Yr 10. The Advanced Maths offering has a focus on the algebraic skills associated with an engineering pathway and the related ‘Introduction to Engineering’ is also offered as a choice subject in Yr 10. It is also important to note that in the background there has also been a focus on improving engagement in middle school Maths, via the adoption of an inquiry approach, attention to problem solving and critical thinking skills and the development of mathematical understanding. Mathematics by Inquiry: Roundtable Key Messages May 2015. Australian Government. Craigmore is convinced that the new approach has been successful: the situation across Yr 10 Maths as a whole has improved; there has been an increase in the number of students opting for the Advanced Maths at Yr 10; and this increase at Yr 10 has now flowed through to the senior school where there are more students taking Specialist Maths, and also related subjects like Stage 1 and 2 Physics. The Engineering Pathways course has also been a success. The focus on Maths has strengthened STEM pathways. To some extent the work at Craigmore is another variation on the ‘integrated approach’ to STEM but what is significant about it is that Maths has acted as the catalyst. At Blackwood HS there has also been a definite focus on Maths. Over the past few years there has been a whole school focus on Maths improvement. The intention has been to improve student attitudes to Maths at all year levels. Lifting the quality of Maths teaching has been a priority. Within this the focus has been on ‘instructional coaching’. This has meant that best practice is shared, teachers observe each others’ lessons, common tests and folio tasks are shared across teachers and more attention is paid to student feedback. In line with the broader new Maths pedagogy, there has been a shift from ‘tell’ to ‘ask’, text books are used more creatively, students are challenged in an inquiry approach, there is an emphasis on catering for all levels, positive student-teacher relationships are fostered and students are encouraged to recognise and celebrate their success in the subject area: it is OK to say you are good at Maths. Like Craigmore, Blackwood has also introduced a Yr 10 extension maths. As well, students are accelerated with their Maths studies: primary students in secondary and middle school students in senior school. There is a whole school numeracy plan and between 2013-15 there was a Numeracy Coach. Each subject area is responsible for teaching specific numeracy focus lessons. Attention is paid to the tracking and monitoring of student achievement in Maths 8-10. The school sees STEM as an opportunity to boost the status of Maths and certainly the school has its own STEM program, including specific projects at both the primary and middle school level. Like Craigmore, Blackwood values the integrated nature of STEM but it also sees the engagement with, and success in, Maths as the key to broadening STEM pathways and improving performance in all STEM-related subject areas. The STEM presentations at the DECD-SASPA conference in May 2017 showed very clearly the enthusiasm and initiative with which SA State secondary schools have embraced the STEM challenge. Importantly, the day’s proceedings showed how the 12 individual schools have taken on the challenge. The emphasis on the integrated approach is certainly a common feature and to a lesser extent the focus on Maths as the key STEM subject is another. Ideally, such investigation could include the fundamental issue of the way that the individual core ‘components’ of STEM – Science, Technology, Engineering and Maths – are treated in the AC, given that the very idea of an integrated approach to STEM implies some sort of ‘natural connectivity’ between these 4 curriculum components. For example, is STEM a natural, pre-existing and internally-coherent curriculum framework in its own right which, as it were, sits above the 4 components? Or is it the case that STEM can only ever be, as it were, retro-fitted to the AC at the initiative of individual schools? Also, is it ACARA’s responsibility to take the lead on the curriculum and pedagogy of STEM in the middle school? There is also the complex set of issues to do with STEM capabilities. Moreover, there are substantive questions to do with the overall success of the national STEM strategy that go well beyond the efforts of individual schools. 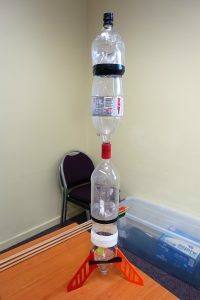 As the SASPA-DECD conference demonstrated, individual schools may well be undertaking exciting and ground-breaking work in pursuing the STEM challenge, particularly in the middle school, but it is also possible that there are more, or at least as, fundamental forces at the macro-level that will determine the overall success of STEM. Arguably, one of the most significant pieces of research in relation to this issue was the 2013 STEM: Country Comparisons – International comparisons of science, technology, engineering and mathematics (STEM) education Final Report which was funded by the Australian Research Council. The report looked at the national school systems where overall performance in STEM was strongest and considered the relevant lessons for Australia. Three key issues from this very comprehensive report are worth a brief mention: senior school subject selection and market forces; the ‘long tail’ of performance; and out-of-field’ teaching. Elsewhere the report notes the long history of how the higher level maths and science at the senior secondary level have been used as ‘gate-keepers’ to high status university courses, including even courses that were not STEM-related. What is important here is the intimation that declining rates of STEM participation at the senior secondary level are at least in part driven by some sort of ‘free market’ in relation to university entrance. Some of the dynamics include the provision of increased student choice at the senior secondary level – in an attempt to move from a narrow, restrictive or over-specialised senior secondary curriculum – and university strategies to attract the ‘highest scoring’ students in order to protect ’market share’ and status. A more recent (2017) investigation of the data – Debra Panizzon, Uni SA, Australia’s STEM report card — “Overall fairly consistent achievement but with high inequity for specific populations of students” and Australia’s report card in STEM: “Consistent effort but highly inequitable!” – highlights the basic problem: Australia’s overall STEM achievement levels are relatively high in terms of international comparisons but overall levels of national performance are held down by significant underachievement in specific school populations, ones characterised by high levels of inequity. Students in the lowest quartile for SES attained a mean score of 463 for mathematical literacy compared to students in the highest quartile who achieved a mean score of 550 points representing 2.5 years of schooling. These results were identical for scientific literacy. A full description of the impact of SES is available from Panizzon, Westwell & Elliott (2013). Indigenous students achieved a mean score of 417 for mathematical literacy compared to 507 for non-Indigenous students representing 2.5 years of schooling with similar results for scientific literacy. Overall, research suggests that, in Australia, the STEM challenge is relatively ‘narrow’ and that it will only be met by a combined effort to reduce the background reality of educational disadvantage and the development of pedagogy that specifically addresses the combined issues of low STEM engagement and achievement for particular school populations, ones generally defined by disadvantage. This is why the work of schools such as Playford International College and Craigmore HS are so important. Equally the current focus on STEM for Indigenous students – see, for example, Strengthening Indigenous Participation and Practice in STEM and STEM and Indigenous Students – and the push for ‘culturally responsive pedagogy’ are vital. There are other interesting projects, for example the very recent news release (28/7/17) on the South Australian scholarship fund ($1M) to support 110 high school students from under-represented groups (female students, Aboriginal learners and young people from disadvantaged backgrounds) to pursue STEM subjects at SACE level. Inspired teaching is undoubtedly the key to the quality of our system, and to raising student interest to more acceptable levels. It is the most common thread running through the responses in every country where the issue has been assessed in any detail. The suggestion is that at least part of the national STEM challenge relates to the professional qualifications and disciplinary expertise of the teachers involved. Moreover, the extent to which out-of-field teachers have to be relied on to teach STEM classes must increase the possibility that ineffective or at least problematic pedagogy is employed – out-of-field teachers are more likely to rely on textbook-based pedagogy and not have had access to relevant professional training – and that this in turn promotes student disengagement and compromises overall results. Moreover, it is also possible that the lack of expert teachers is even more acute in disadvantaged schools. Paradoxically, it is also important to consider that one of the great successes of the present project-based, integrated approach in the middle school to the teaching of STEM could prove to be a significant flaw. Typically, these projects are very successful because of the teaching staff involved. They often rely on specialist, ‘one-off’ teachers who bring high-level background knowledge and expertise and even external, professional experience in a specialised field to the project. The teachers involved are highly motivated, enthusiastic and prepared to devote the time and energy – and even source their own resources – to make the project work. 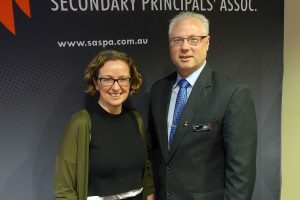 This combination of commitment, enthusiasm and specialist expertise was evident in the various school presentations at the SASPA-DECD conference. The problem however is that such excellence might not be replicable on the larger scale. Arguably, the successes that schools enjoy are at least in part because of the small scale of the initiative. Pushing beyond the individual, carefully fostered and nurtured one-off project to a ‘mainstream’ approach with teachers who are not as ‘expert’ or ‘committed’ could be problematic. It is also important to consider the possibility that the push for project-based, integrated curriculum in the middle school could even promote ‘generalist’ teachers over ‘specialist’ teachers. If this did occur there would could well be an negative impact at the senior secondary level in the teaching of the specialist STEM subjects that have been specifically targeted for growth. 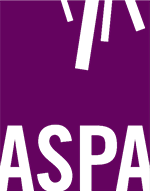 The SASPA-DECD STEM conference in late May 2017 demonstrated the exciting approaches that schools have employed to meet the various dimensions of the ‘STEM challenge’. The schools involved were keen to demonstrate how they have taken what they see as a distinctive and emerging ‘STEM pedagogy’ and have used it to drive significant change in the way STEM is taught. They also see this same pedagogy having a positive impact on other disciplines and on school culture generally. While the work of the individual schools is obviously impressive and offers direction for other schools, it is important to locate the effort of the individual school within the context of the broader National STEM challenge. Some significant dimensions of this challenge need to be tackled at system, state and national levels. Equally, serious consideration needs to given to supporting the individual school, particularly those at the forefront of tackling educational disadvantage.